If you smoke marijuana, as many people do, you may find that you are tested for its presence on occasions. This is generally done by companies who want to ensure the workforce is free from any drug usage. 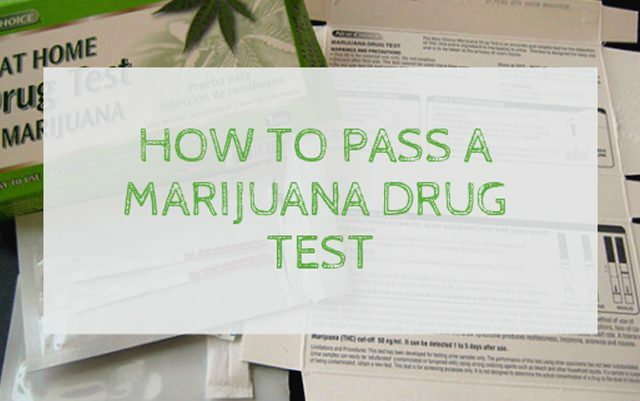 How can you pass a marijuana drug test? First, let us explain what it is the test is looking for. These are just a few of the factors that influence the THC level after you have been smoking marijuana. For how long will THC remain in your blood, urine or saliva? This also depends upon the above factors, and rough guidelines says that for occasional use, THC may remain in your system for as long as four weeks. For regular users, this can extend to far longer. So, you can clearly see the problem when it comes to passing the test! Urine test – the most frequently used and easiest of all the tests. Be aware that THC will remain in the urine for up to 8 days after usage for an occasional user, longer for regular users. Hair follicle test – not often used as it is expensive and not so easy, you are unlikely to be subjected to this type of test. Saliva test – used occasionally, THC will remain in the saliva for as long as 24 hours. If you know the type of test you are to be subjected to it can help you pass the test, and how to pass is our next subject. You may be subjected to a drug test before you join a company, or your employer may run random tests every now and then. This is becoming far more commonplace, so it’s worth being prepared. Bear in mind that you don’t need to be completely free of THC in the system; what you do need to do is make sure it is below 50ng/mL. This is the level at which you are considered clear. Drink 2 to 3 litres of water 24 hours before the test, and a further litre or 2 a few hours before. Use products such as Toxin Rid or Mega Clean, which help rid the body of THC. For an occasional user there is a good chance of passing a test if you follow the above tips, so make sure you read through and check out all the information at the link we have provided. While we certainly understand the context…there should have been quite a bit more in this article about how responsible adults should deal with the issue head-on…and not just try to sneak past a drug test.